Vikramaditya Motwane is a busy man. With Rajkummar Rao-starrer Trapped behind him and Bhavesh Joshi Superhero underway (this conversation took place in October 2017), he was working hard behind the camera on Sacred Games when we met him in a vanity van on a set in Mumbai. The air-conditioned, comfortable van was in stark contrast to the set outside; Saif Ali Khan, Radhika Apte and Neeraj Kabi were shooting a scene where inspector Sartaj Singh and RAW agent Anjali Mathur would confront the Mumbai police at an old warehouse. Motwane is, apart from being a co-director with Anurag Kashyap, also the showrunner of the series. He confesses that he did not know what responsibilities would come with the designation. "At the beginning, I didn't even know what being a showrunner meant. I wanted to understand how involved and detached I had to be. Should I impose myself at the start? I had such questions. You end up learning these things on the go. You have to let the writers flourish while deciding who will take the lead," he says. The series is a departure from the work Motwane is known for — films like Udaan and Lootera — because it tells the story of Mumbai's underworld. He says that the experience was both exciting and intimidating. "It's not exactly in my comfort zone, but I got comfortable with it eventually. You come to terms with the material, the material gains shape through your treatment of it. A balancing act of sorts takes place... I've never dealt with caste as a subject. The challenge was also about how I could make this different from the other Bombay films (Trapped, Bhavesh Joshi Superhero) I have done in the past," he says. Motwane and Kashyap have split the narrative among themselves; while Motwane has directed the plotline involving Sartaj Singh and Anjali Mathur, played by Khan and Apte respectively, Kashyap was responsible for the plotline involving Nawazuddin Siddiqui's Ganesh Gaitonde. But this collaboration was far from being complicated, he says. "Kashyap and I have an implicit trust in each other. We are partners and we've worked together for over 20 years. Part of the challenge lies in shooting different tracks as filmmakers who are very different, and putting it all together in the end. We're different but that is the point because Sartaj and Ganesh are so different." Initially, they considered bringing different directors on board for each episode. "As we got closer to production, we realised that dates were clashing and that it was an overall nightmare...We also realised that the story is divided into two parallel tracks, which Kashyap and I could be responsible for," he explains. 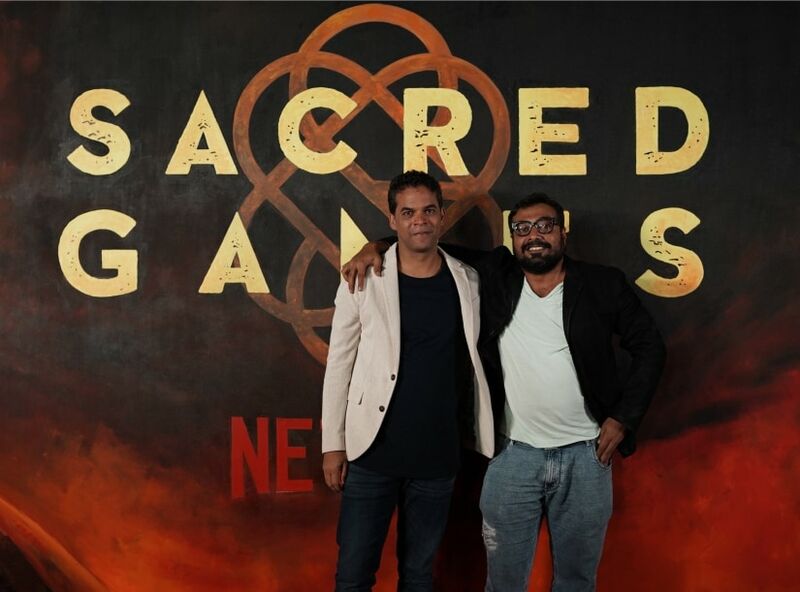 Many voices from the production have said that because Sacred Games is a Netflix series, they were given more freedom to experiment and that they did not have to hold themselves back. Apart from the absence of the fear of being censored, Motwane says that another merit was the ability to make the show an 'Indian' one rather than an English-language one. "Usually, the shows are made in English and it begins to feel fake. Imagine Marathi cops mouthing dialogues in English! Making the show in Hindi makes it feel more real." Beyond matters of language, multiple episodes also allowed the directors to tell the story without being confined to a three-act structure. "Feature films have a three-act structure. Here is your protagonist, here's their call to action, here's plot point 1, 2, and so on. Then, there is the final resolution. On the other hand, when it comes to a show, there's a beginning-middle-end to every episode and to the whole series. It's so layered, and the audience is so much more invested in the character because they follow their journey over many months. As an actor too, it can be so exciting to sink your teeth into a role which has so much depth," he explains. Praise has been heaped on Netflix in the past because it brought to the fore some indie directors and actors, who would otherwise not be given the same kind of attention in local film industries. Considering the freedom that he is afforded by the streaming giant, why did he cast Bollywood actors for the principal roles? Motwane says that this decision was a conscious one. "We love to watch our actors and stars, and this is true across the world. It drives an a larger audience to watch, and that is only good for the show. Once Nawaz and Saif came on board, it became easier to convince Radhika and Neeraj Kabi of the fact that we're aiming really high with this show," he explains. Motwane is also excited that he can now make content that is 'smarter' and more complex. "It's extremely liberating because Netflix is catering to an audience that likes to be challenged. We've been trained to cater to the audience when creating feature films. The things we have been wanting to do for years -- filmmakers such as AK and I -- we finally have an outlet for it," he says. Motwane talks about how supportive Vikram Chandra was through the whole process, considering how difficult it can be for a writer to place their years of work into someone else's hands. "He read the scripts and gave us feedback, he's not been too hands-on and gave us the freedom to do what we wanted to... Chandra is so research-intensive that we didn't have to approach another researcher, we just had to ask him questions. He knew in-depth details about subjects like phone tapping," he explains. He says that Sartaj Singh was part of the reason why he was drawn to the book. "He is a bit of a loner and at the crossroads of his life. I think I have a tendency to be drawn to characters who are isolated; I like lone wolves who don't speak very much." Motwane's face lights up when he speaks about the character. "We've stayed very true to how the character is portrayed in the book. 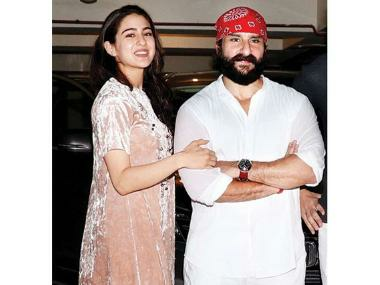 We also drew from Chandra's 'Love and Longing in Bombay', which is where the seed of Sartaj Singh comes from," he adds. Though the time period of gangster Ganesh Gaitonde's track has not been changed (it is set against the backdrop of the gang wars in Mumbai and the Babri Masjid demolition), the present-day narrative has been adapted to the times we now live in, rather than the early 2000s. "Even though the book is based in 2004-05, it still rings true for a lot of things happening around the world. Today, we are witness to the rise of nationalism and the victory of governments in places that we would least expect. World powers have swung in the direction of nationalism... I think that the looming danger of the nuclear holocaust (which the show deals with) is relevant more today than ever before. It makes one scared."